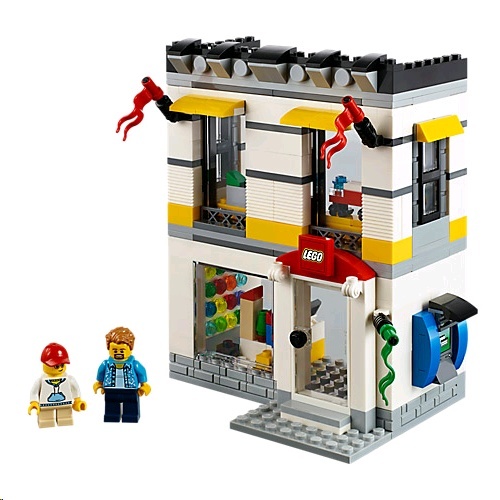 Build your own business with the LEGO® Iconic 40305 Microscale LEGO Brand Store. This 2-level store features a bright facade with transparent opening door, 3 windows, 3 flags and a LEGO store sign. Inside you'll find a Pick & Build wall, Build a Mini stand, shelves filled with LEGO boxes and a counter with cash register. This set also includes 2 minifigures and comes with modular building sections that you can swap around to create your own store design. 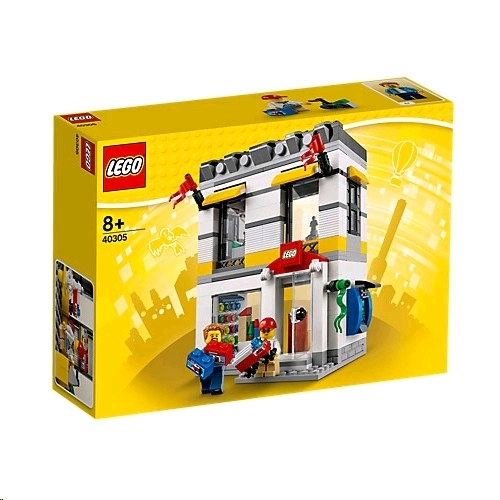 Features a detailed facade with transparent opening door, 3 windows, 3 flags and a LEGO® store sign, plus a detailed interior with a Pick & Build wall, Build a Mini stand, shelves filled with LEGO boxes and a counter with cash register. Also includes a collection of LEGO® themed stickers. Swap the modular building sections around to create your own store design! Measures over 5" (15cm) high, 5" (13cm) wide and 2" (7cm) deep.